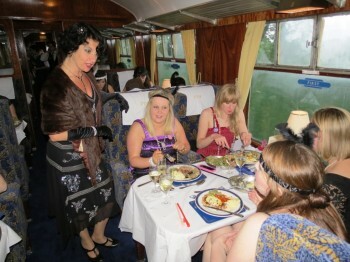 Our ever popular Murder Mystery Trains put you at the heart of a thrilling case. A five course gourmet meal is served as the plot develops during this thrilling, steam hauled round trip…Crack the clues and make sure the killer gets his just desserts before yours is served. Opening scenes commence on the platform at 7pm with trains departing from Loughborough at 7.30pm. 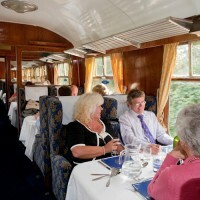 Tickets are priced at £65 per person, prices include the 5 course meal and the full cost of the train ticket. 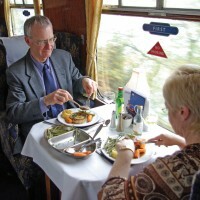 Rail travel is unlimited on the day following your meal. 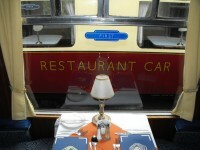 Be the first to review “Murder Mystery Dining Service – 4 People” Click here to cancel reply.